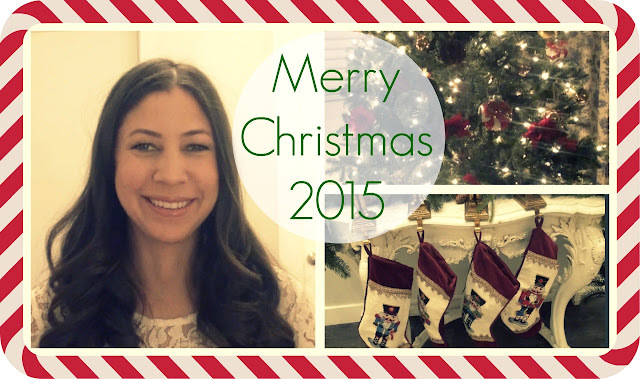 Christmas decorations, presentable pajamas and cookies... oh my! I can't believe how quickly the end of the season has come upon us. In this week's video I have a nice, long chat with you about how the holiday season is going for us. I share a glimpse of some of our Christmas decorations and give you seasonal encouragement and inspiration. I will be taking a break from the blog and YouTube channel as I do every year so I can spend time with family and take a break from working. This will be the last video you see of me until mid-January in the new year. What will we be doing on our break? Visiting family, relaxing, sleeping in (wishful thinking!) and enjoying the kids being home from school. Also, the girls and I plan to get very organized. We are clearing out our closets, going through their toys and reassessing our storage. This may sound strange to some but, we can't wait! (Yes, I seem to have passed on my love of organizing gene to my daughters.) Nothing like a good group organizing effort to get you in the mood for the new year. Also, I have some very exciting news for you that I will share with you upon my return in January. I can't wait to tell! I hope you and your family have a marvelous holiday season. Thank you to everyone who has been a part of this blog for making this year so dynamic and special. I am wishing you a merry Christmas and a happy new year and I look forward to seeing you back in January, 2016! For a link to my dried orange Christmas ornament tutorial, click here. Check out my interview with Celebrate Magazine on everyday elegance and don't forget to enter their giveaway. Time to sharpen those towel-folding skills before holiday guests arrive! Christy Linens feature my towel folding technique on their blog this week. The Non-Desperate Housewife gets inspiration from Lessons from Madame Chic for her holiday celebrations. 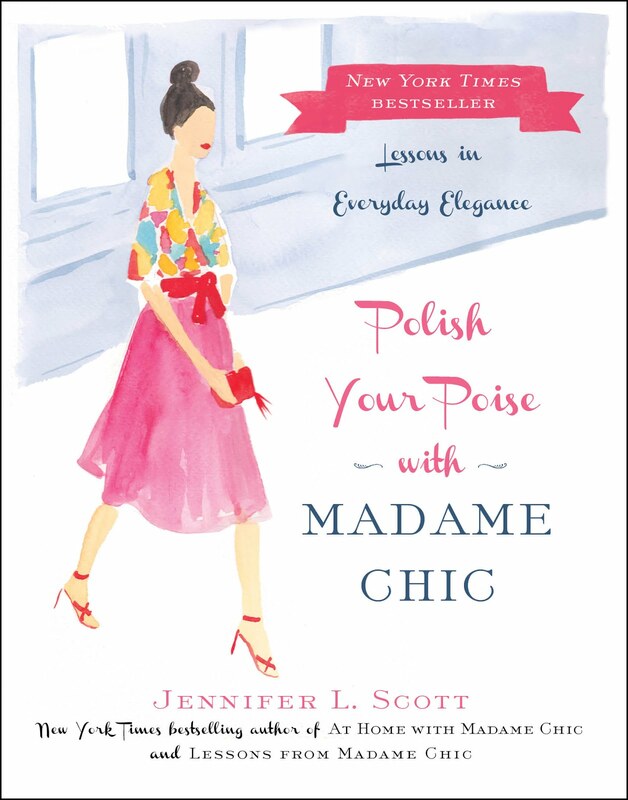 Mix and Match Family loves Polish Your Poise with Madame Chic as much as Lessons from Madame Chic. Here in south west UK I have had to completely re-think my winter ‪Ten‬ Item Wardrobe. It has been exceptionally mild, according to the newspaper we were experiencing the same temperature as LA. Thanks to my wardrobe now being well organized, out of season items neatly packed away in vacuumed bags I have easily swapped my usual winter knitwear back to Cotton tops. I had been planning to purchase a new light grey cashmere roll neck this winter but have put this off. I new that for next spring I wanted a long-sleeved cotton jersey dress. When I saw a lovely Colbert blue dress on sale I knew this would fill the gap perfectly and used the budget for the jumper on this. The Ten Item Wardrobe mentality does work. Hi, Susan. I am so happy you are learning how adaptable the ten-item wardrobe can be! This week I would love to know what you plan to do over the winter holidays. Do you like to pack in fun activities or go at a slower pace? Will you be doing any organizing for the new year? How will your family celebrate Christmas this year? Let me know in the comment section below. Once again, thank you for making this year so special on The Daily Connoisseur. I really do cherish this community we have! I will not see you on the blog until mid-January, but you can always find me on Facebook, Instagram and Twitter. Merry Christmas! There is something so timeless and classic about a French manicure, but many women only get them if they visit a nail salon because they seem too complicated to do at home. Today, I share my special technique with you. It requires practice and patience, but in the long-run is less complicated than many of the other techniques out there. Some people use a makeup brush dipped in polish remover, others use stickers or tape to create the little white line... I like to hold the brush still and roll my finger to create a natural-looking line. This technique is demonstrated in this week's video, along with some of my other tips to successfully create a French manicure at home. 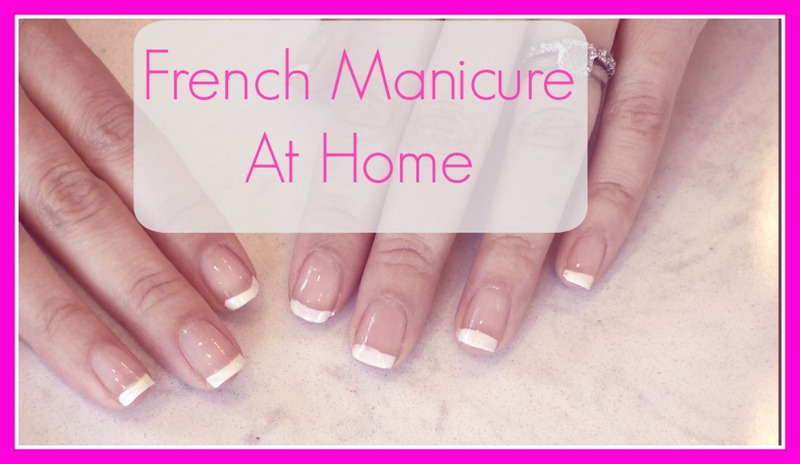 A classic French manicure is perfect for this upcoming holiday season, especially if you are on a budget or don't have time to go out and get a professional manicure. I urge you to try one at home! Vicki Archer of the beautiful French Essence blog, has chosen Polish Your Poise with Madame Chic for her Christmas Edit. 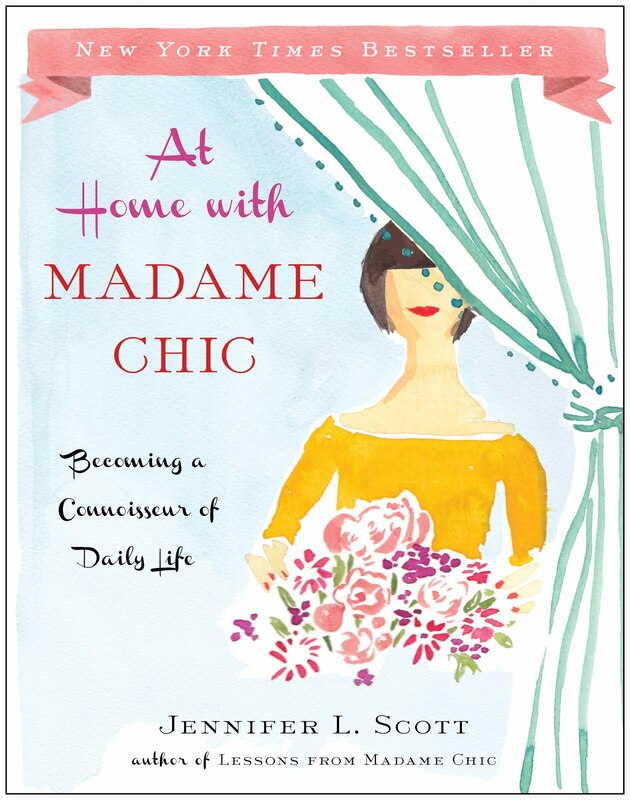 Meghan Carver, Lawyer Mom lists Lessons from Madame Chic as one of two perspective-altering books. This past week I signed more Madame Chic books at Pages, A Bookstore in Manhattan Beach. Thank you to everyone who ordered personalized and signed copies. Santa is coming to your house this year! Thank you so much for inspiring me to live better. I admit that when I first read some of your ideas, like how to fold towels or arrange flowers, I sort of rolled my eyes and thought about how I was too busy to be bothered by such trivial things. My apartment was a mess, my husband and I ate microwaved dinners in front of the TV, I would run errands in sweats, and I told myself that it was to be expected because I had so many other things to worry about. My husband and I both work long hours during the day and I attend law school in the evenings, so it's not unusual at all for me to leave for work at 7:30 in the morning and return home at 11:00 at night. Thankfully, I kept reading your books and your blog while I was on the subway and the ideas really started to sink in. I realized that I was using my crazy schedule as an excuse to be sloppy, and that the little changes you recommend are easy to implement but make a huge impact on quality of life. I derive so much more pleasure from little daily things, like having candlelight dinner with my husband or freshly folded laundry, now that I do them carefully and thoughtfully. I'm so glad that I finally embraced the message behind your books and your blog and learned that there is no such thing as being too busy to live well. Dear J.Claire, I love that you started off reluctant and then were open enough to try the techniques. I am so happy to hear that they are enriching your life. Keep up the great work! I enjoy your piano performances very much, especially because you are not a professional! There is an honesty and courage in publishing a performance that is not absolutely perfect, and it is so inspiring, because it is something we amateurs can relate and aspire to as well. I am 48 years old, and last year I was finally able to fulfill a lifelong dream and start taking piano lessons. My children are ten and twelve, and both started lessons when they were seven years old, so I am just a measly 40 years behind... Playing and learning new songs is giving me so much joy and enriches my life way beyond the obvious. It is never too late to pick up a new skill, and as long as we are realistic in our expectations there is no telling where it will lead us. Thank you for your books and this blog. Your message is such an important one, and I find it encouraging to see so many people here on this site who also wish to live beautiful and cultured lives and teach our children the value of manners and poise. Dear Ulrike, I am so happy to hear you are taking piano lessons. Age really never matters with learning the piano and I am happy that at 48, you have decided to challenge yourself. I hope you enjoy the process! Today I have another piano performance for you: Tchaikovsky's Waltz of the Flowers. I am using my grandmother's vintage piano book from 1934 for this rendition. I hope you enjoy my performance! It's certainly not perfect but I hope it captures the spirit of the season. The Nutcracker is one of my favorite ballets and the Waltz of the Flowers is such a mesmerizing waltz. I have always loved this song and associated it with Christmas. I joke with my friends that I don't know why I keep promising to play complicated piano pieces on Instagram because then I am under the pressure to learn and perform the piece, but I think it's a great thing and it keeps my piano skills sharp. I hope you enjoy the video. 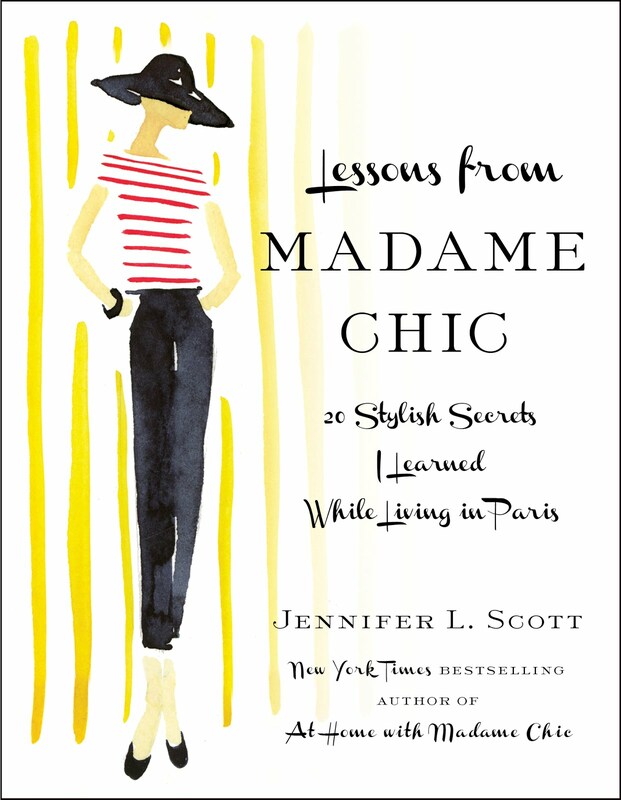 Thank you to the Japanese readers who have made Lessons from Madame Chic the number 2 bestselling book in the country for 2015. What a major accomplishment for our little book! Arigato! Lovely review and hilarious photo on the Bustle and Vim blog for Polish Your Poise with Madame Chic. Raeful blog writes, "As with Jennifer’s earlier books, they bring about an instant peace and have me thinking calmly, envisaging myself strolling through my day rather than rushing." Check out the rest of her great review of Polish Your Poise with Madame Chic here. I finally purchased your first two books. Currently reading "Lessons...". The one thing that I TOTALLY agree with is the French approach towards exercise. I just came back from my first trip to Paris less than a month ago. As the foodie that I am, I thought I would come back with quite a few pounds more. So imagine when, after all the eating I did, I came back with 4 pounds less! The fact is, I stayed in Montmartre, where there are ALWAYS stairs. The apartment I rented was on the 3rd floor - no elevator. I did quite a bit of shopping, which I would have to carry for long walks. I didn't stuff myself with food, but I went to restaurants and still deprived myself of nothing and I came back quite fit. Hi Karina, the "exercise incorporated into everyday life" concept that I picked up in France (rather reluctantly, I might add) has been such a life-changer. I used to be quite lazy (for lack of a better word) and would drive everywhere. Now I push myself to walk every single day, whether to run errands or walk the children to school. It just makes you feel good. Thanks for sharing your experience! And yes, there are quite a lot of stairs in Montmartre! 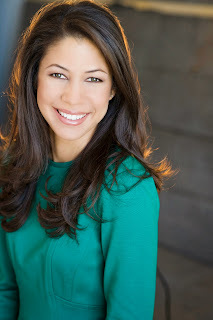 Jennifer, Years ago, I was invited to a family's home for dinner -- a very modest, somewhat disarrayed, lived in home. As soon as I walked through the door, all I saw was a carefully set dining table, just as modest as the rest of the environment -- but I saw a spot for me. I remember feeling a sense of welling up inside -- a table set for me, because I was the guest. I will never forget that feeling, and often think of it as I set table for my guests. I hope for every guest coming through your door, your reader's doors, and my door, to have that same feeling. There is nothing like a table set for dining; it speaks of everything hospitable, civilized, and loving. I absolutely loved this post. Thank you! What a beautiful memory, Kelly Ann. Thank you for this comment to remind us that no matter how modest our surroundings, we can always make others feel welcome and at home. I would like to take this opportunity to thank all of you who write me emails via my author website. Every email I receive is so special and heart-felt. I wish that I could respond to all of them, but with my busy family life, I am unable to. Please know that I read every single email, save them and treasure them. I hope you enjoy my performance for you this week! See you next time on The Daily Connoisseur.